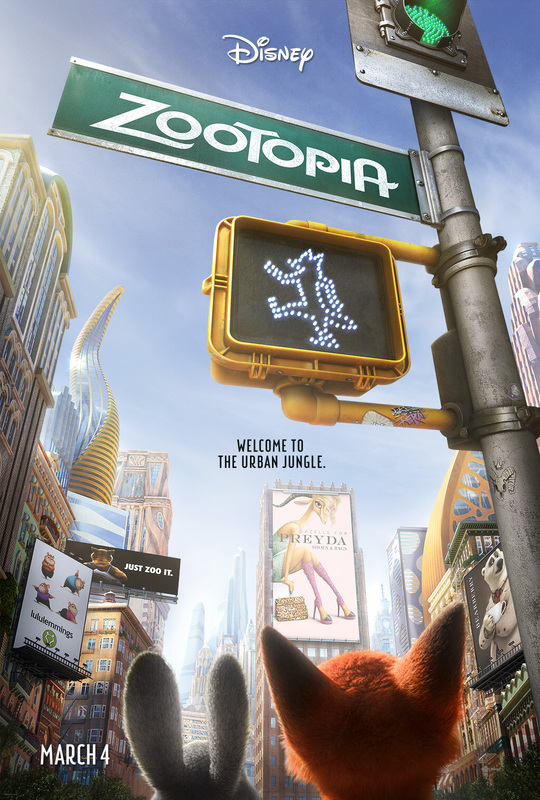 Disney has released a new poster for their upcoming animated film Zootopia, starring Jason Bateman and Ginnifer Goodwin. You can view a the all-new teaser poster below! The modern mammal metropolis of Zootopia is a city like no other. Comprised of habitat neighborhoods like ritzy Sahara Square and frigid Tundratown, it’s a melting pot where animals from every environment live together—a place where no matter what you are, from the biggest elephant to the smallest shrew, you can be anything. But when optimistic Officer Judy Hopps (voice of Ginnifer Goodwin) arrives, she discovers that being the first bunny on a police force of big, tough animals isn’t so easy. Determined to prove herself, she jumps at the opportunity to crack a case, even if it means partnering with a fast-talking, scam-artist fox, Nick Wilde (voice of Jason Bateman), to solve the mystery. Zootopia comes to theaters around the world on March 4, 2014! Make sure to keep it here on NYCityGuys for all your Disney news! Previous Entry Robot Chicken DC Comics Special III: Magical Friendship Premieres This October on Adult Swim!